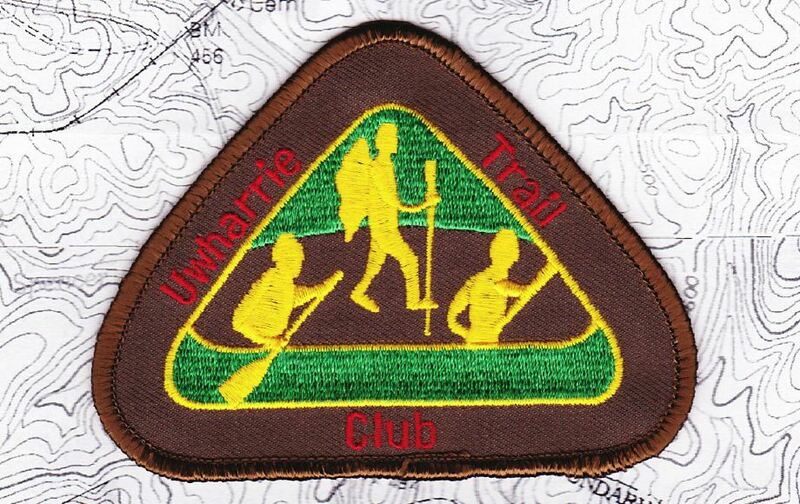 The Uwharrie Trail Club has recently seen a revival. Ok, maybe I’m a little slow in catching on. “Recently” might only be true if you include last year in that description. But for a club that first got started in the early 1970′s, last year is fairly “recent”. 2010 started with no active club in existence. In April, several hikers with a strong interest in the Uwharries decided to revive the club. By the end of the year they had organized and held a hike into the Birkhead Mountain Wilderness, held a general meeting in Asheboro, ordered new club patches, manned a booth at the Uwharrie Mountain Festival, and put on the Monadnock Exchange. By the end of the year they were up to 28 members. I just added another member to their roll. For 2011, they are planning a variety of opportunities for those who love the chance to get together for hiking, biking, paddling and service outings. Membership dues are only $5 for a individual, $7 for joint memberships and $8 for family. Even if you’re not sure if you can be attend many outings, I’d encourage you to join as a member and show your support. C’mon, it’s only $5. Clubs like this are key to the future of trail resources, so if you’ve ever hiked in the Uwharries, or want to, do your part and join up! Karl Munn of Charlotte takes care of memberships. He can be reached at awa-km@att.net for applications and renewals. Tom MacMillan of Stanly County will be organizing events. His email is tmachebgb@earthlink.net. The club’s mailing address is Uwharrie Trail Club, P.O. Box 32455, Charlotte, NC 28232-2455. They do not have a website up yet. The Monadnock Exchange, in case you missed it, was a conference whose objectives were to bring together people of varying interests to promote better stewardship for our public lands in the Uwharrie Area, to gain knowledge of The National Wilderness Preservation System and The Wilderness Act and to become aware of some of the issues and opportunities within the trail systems in the Uwharrie Area. The keynote speaker was Ted Snyder, a former Sierra Club national president and a wilderness advocate. Joel Hardison and Theresa Savery with the USFS gave presentations about the archaeological resources of the Uwharries, a history of the Birkhead Wilderness and the Leave No Trace program. Bill Hodge of The Southern Appalachian Forest Coalition reported on developments of a new stewardship program for the southeast. A panel of 5 “subject matter experts” was put together to share a bit of info about their perspective on the Uwharries. I participated as a member of the panel representing the hiking community. My book, the Uwharrie Lakes Region Trail Guide, apparently served as my credentials to be on an “expert’ panel. I graciously participated without trying to set them straight on the value of my credentials. Other panel members included Dean Najouks of the Yadkin Riverkeepers, Ron Anundson of Morrow Mountain State Park, Elizabeth Earnhardt representing equestrians and Uwharrie Trail Riders Association, and Brian Bristol of Explore Uwharrie represented the mountain biking community. I’ve been reading the book ” A Walk In The Woods” by Bill Bryson. It is a hilarious book about 2 guys hiking the Applachian trail. 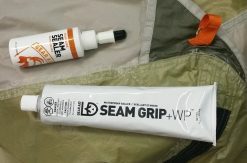 I have not done any backpacking in a good 30 years, but, the book inspired me to give it a little try again. 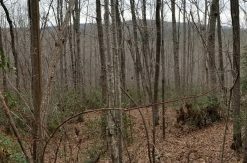 The Uwharrie trail was a very good and convenient place to try out my old hiking legs. I thoroughly enjoyed it. I was tired, but, happy. I’m interested in joining this club. Just might give it a try.